Create a coastal atmosphere in your bedroom with the Bombay Queen Duvet Set. 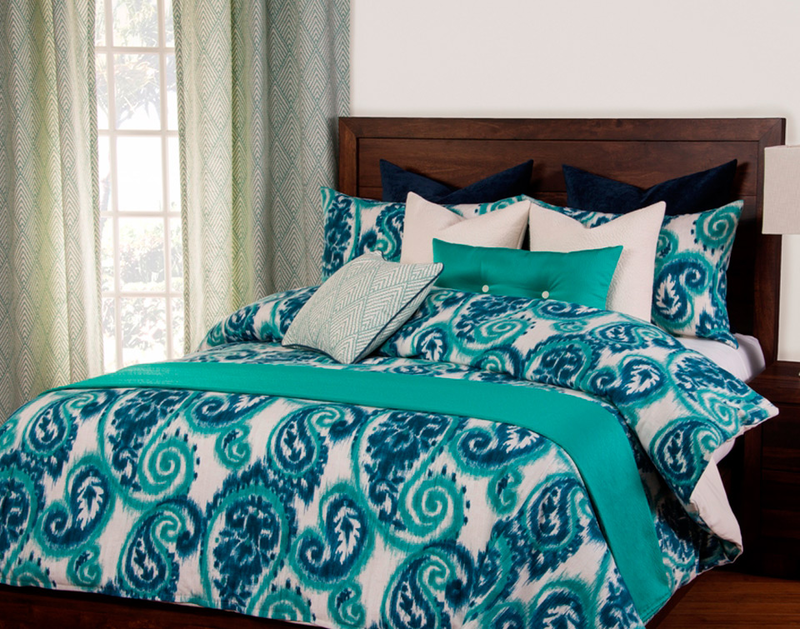 These coastal bedding sets feature a large scaled Ikat Paisley print in cool shades of turquoise and sapphire for defining style. Ships from the manufacturer. Allow 1 week. Cannot express ship. For further pieces, we ask you to take the occasion to explore our whole assortment of coastal bed sets at Bella Coastal Decor today.